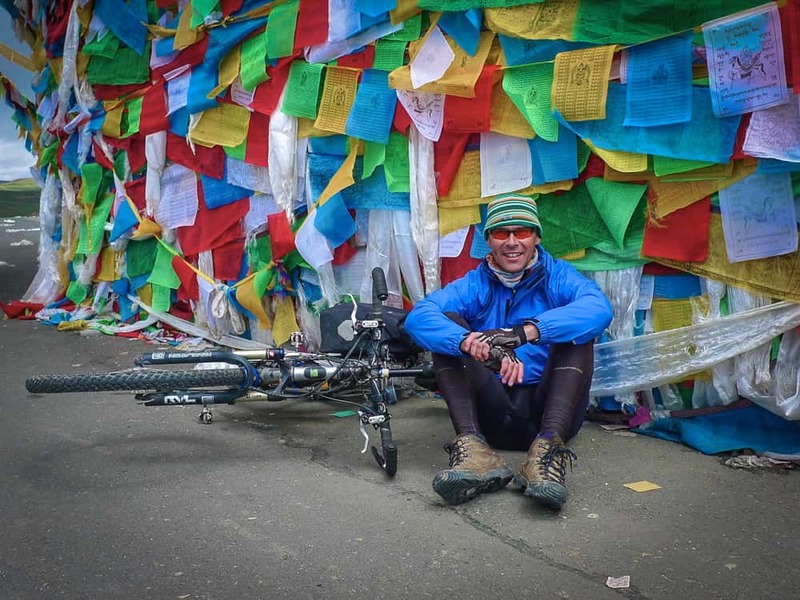 Cycling the Himalayas - An adventure cycling tour from Lhasa to Kathmandu via Everest. 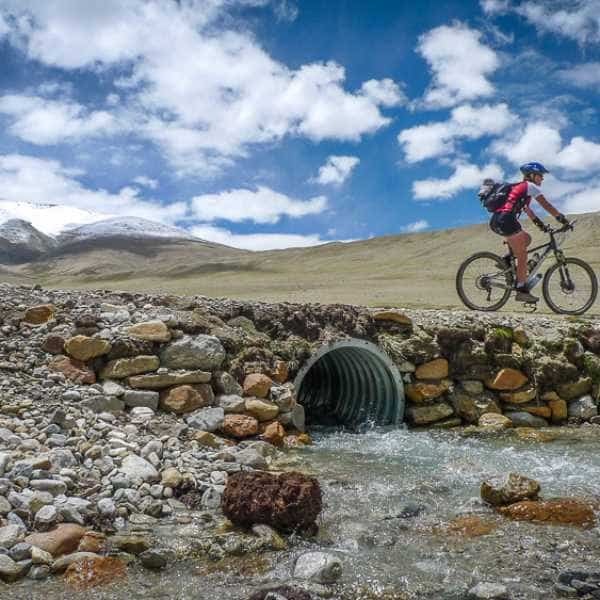 Crossing the Himalayas this is, without doubt, one of the toughest bicycle tours commercially available, as well as one of the most beautiful, and for the hardy, the most satisfying. 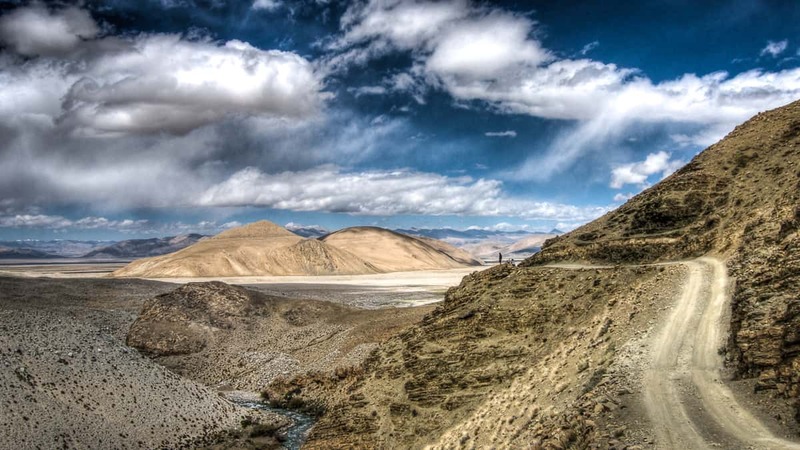 Long climbs, at times strong headwinds, possible snow, 14 days camping wild in the Himalayas, and an extended period of cycling in an oxygen-depleted atmosphere mean that Tibet is closer to being an extreme expedition than a holiday tour. 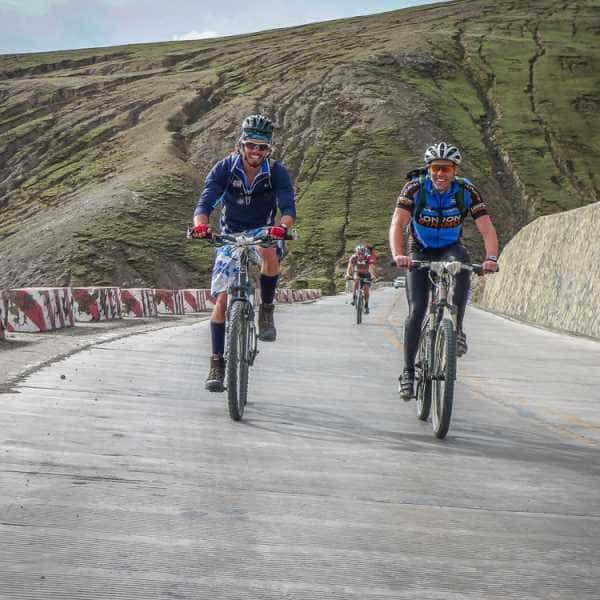 But for those intrepid cyclists whose passion it is to undertake one of the world’s mightiest and most beautiful cycling challenges, Lhasa to Kathmandu will surely stand out as one the greatest bike rides of a lifetime. The climbs may be long in duration but are seldom steep. Typically a 20KM climb may gain less than 1000 metres in altitude (although on the new section towards the end of the tour there are some steeper climbs). 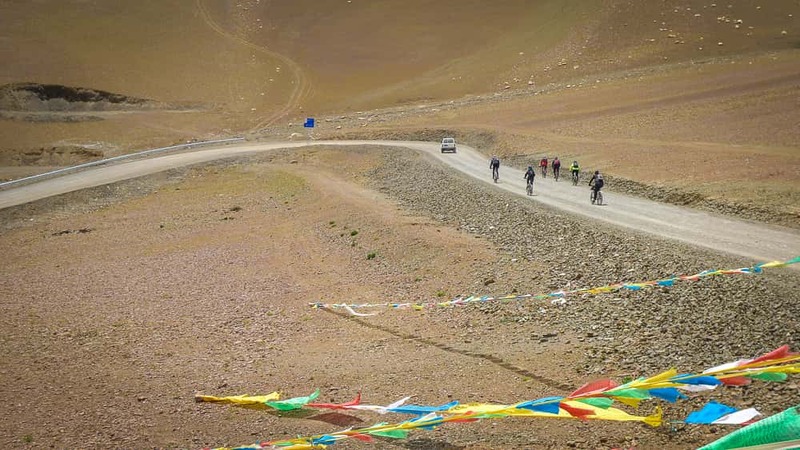 If Lhasa was was at sea level and the rest of the tour climbed and descend from there it would be a pleasant tour for most reasonably fit riders. 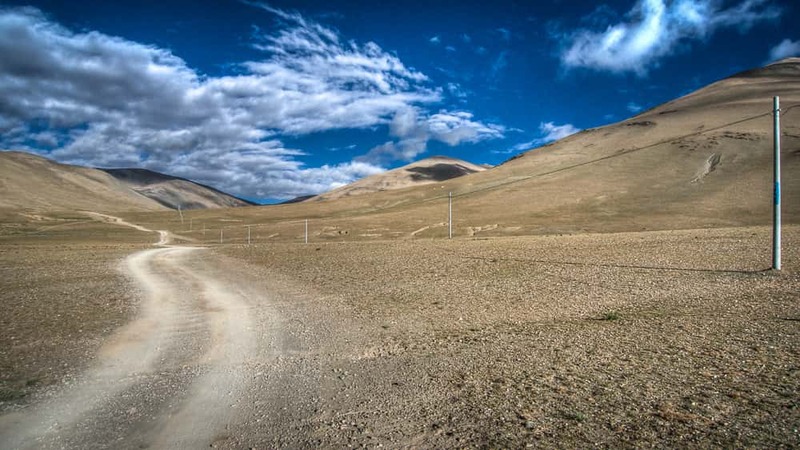 However, Lhasa is not at sea level, it is 3600 metres above sea level, and the ride rises and descends from there. 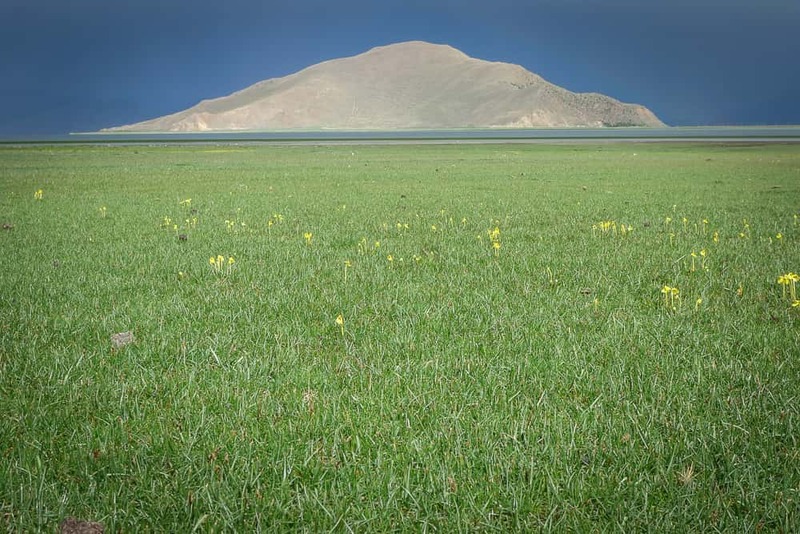 Once away from Lhasa our base altitude is around 4000 metres and the passes we cross reach as high as 5300 metres. With the subsequent oxygen depletion not only is riding far more challenging than most would imagine, but your body also will not recover from the rigours of the riding with anywhere near the efficiently it would at sea level. The same is also true of recovering from any infection you may pick up. 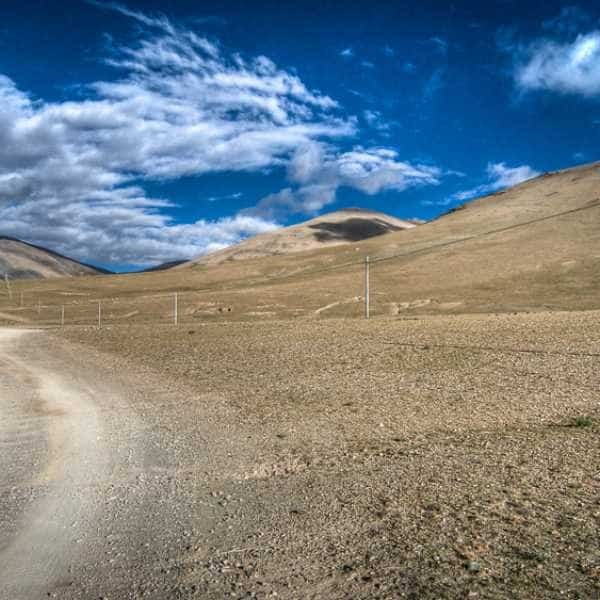 Tibet also presents some stiff headwinds which may at times necessitate pedalling hard even on the downhills. We will be riding in a rarified atmosphere with as much as a 40% oxygen depletion, this is very tough, and recovery is tougher. The key to successfully riding across the Himalayas is to take extremely good care of yourself. Do not ride hard, ride not for today, or tomorrow, or even next week - ride to conserve yourself until the last day of the tour. Remember, the last rider to the top of the first pass will be the first rider to the top of the last pass. This is predominantly a camping tour. 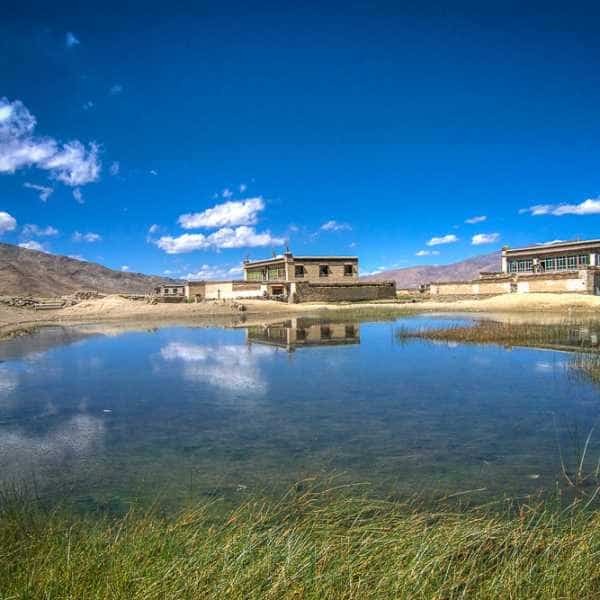 We will spend a total of 14 nights under canvas camping wild on the Tibet Plateau and in Nepal. Our campsite will consist of personal tents on a single or twin share basis, a mess/dining tent, a kitchen tent, and a toilet tent. There is no shower but bowls of hot water are available. (the number of nights camping may be a little lower depending on circumstances). As with most of our tours we recommend bring your own bicycle along for this tour as this will ensure a bike upon which you are comfortable and enjoy riding. The tour has one day long stretch on unsealed roads which at times can be very rocky. 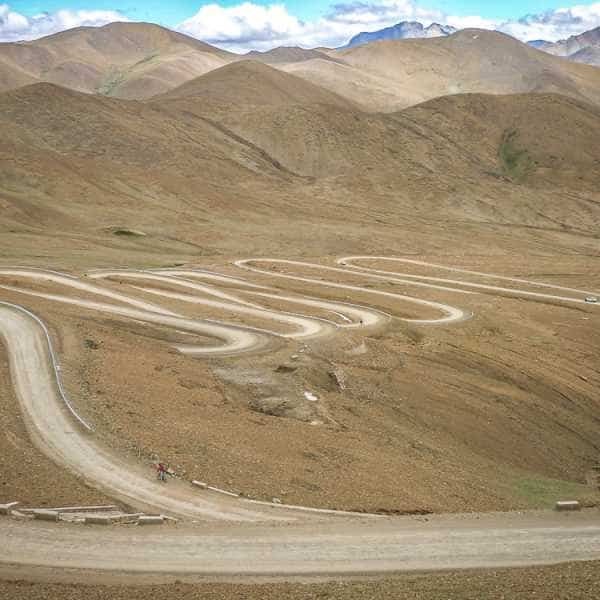 Other than this the Tibetan section of the tour is on well-maintained roads with a good surface. The quality of the road surface in Nepal is variable, but the route is totally sealed (at least in theory). Traditionally MTBs have been the favoured machines for this tour due to their fatter tyres and lower gearing. However, a gravel/cyclocross bike with suitably low gearing would make a great choice, as would a good touring bike, again with suitably low gearing. Recommended minimum tyre size is 35mm. For gearing, I would suggest thinking of a 30 tooth small ring front and a 36 big rear on the rear as a suitable low ratio. Once underway there will be little opportunity for buying bicycle spares. It is therefore essential that you ensure your bicycle is properly maintained, serviced, and in tip-top condition. If you have any doubt about the life remaining in any component on your bicycle please replace it, and give it a thorough test ride before packing the bike. We will have a tool kit, but for those competent with tools bringing your own pump, puncture kit, and some tools would speed up any roadside repairs and campsite adjustments that became necessary. Temperatures can vary considerably with night-time dropping below freezing. Daytime temperatures can rise into the 20s and at high altitude the sun is fierce. 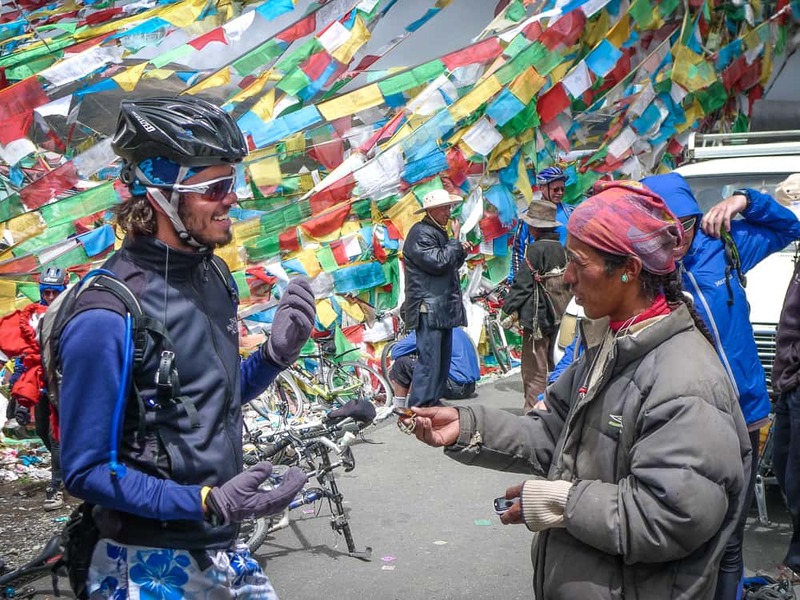 Layering is always a good idea and a couple of layers of merino wool with a wind stopper jacket is an excellent choice for Tibet. There are times when riding in a t-shirt is possible, but with the strong sun long sleeves may be worth considering. Rain is unlikely but possible, so a waterproof jacket is essential. With the possibility of cold daytime and strong winds, most people will at times want long trousers or leg warmers as well as warm gloves when riding. Evening temperatures can quickly drop when the sun goes down and a down jacket and several under layers is an ideal solution, as is a warm hat. You will need to bring your own sleeping bag rated to sub-zero. Pillows are not provided, a down jacket inside a small pillowcase makes a good pillow, alternatively, bring along a travel pillow. Sleeping mats are provided but please feel free to bring along a Thermarest. Some sort of long underwear for sleeping is advised. 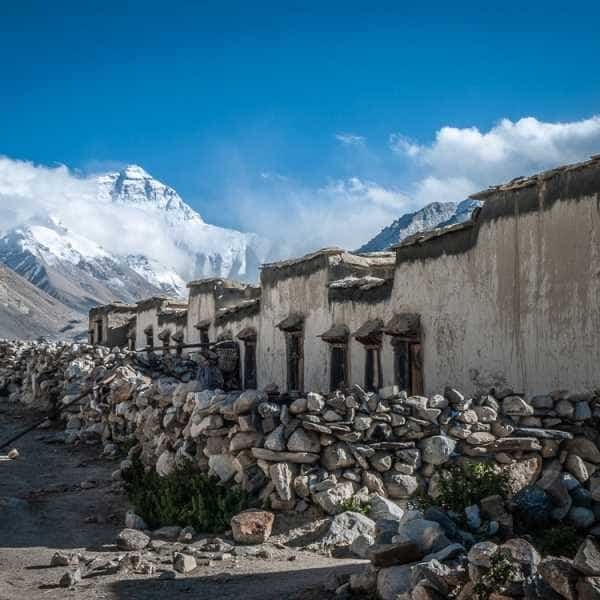 The Kathmandu to Lhasa flight is not included in the tour price (nor is your flight to/from Kathmandu) and must be purchased separately by tour participants. At the time of writing the flight price is approximately US$200. You will be given further info regarding which KTM-Lhasa flight to book at the time of booking onto the tour. 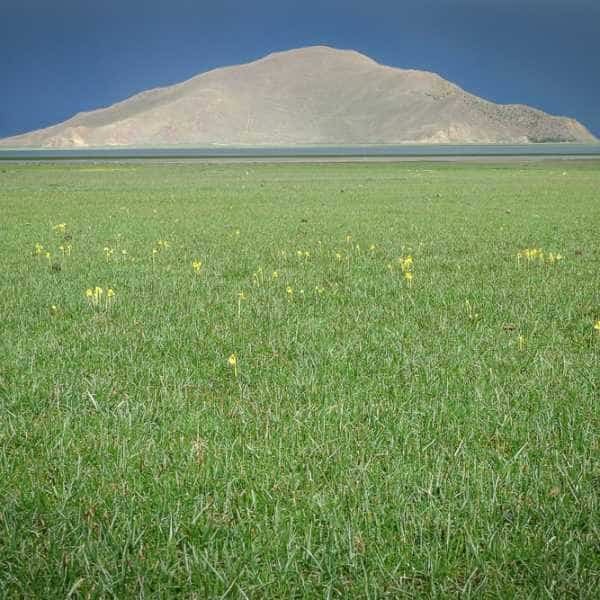 Once we arrive at Lhasa we will be at an altitude of 3500 metres. At this height above sea level, you will be breathless climbing stairs and walking quickly. You may well experience sleeplessness, mild headaches and a loss of appetite. AMS is possible, although unlikely. I have known one case of altitude sickness at this altitude. 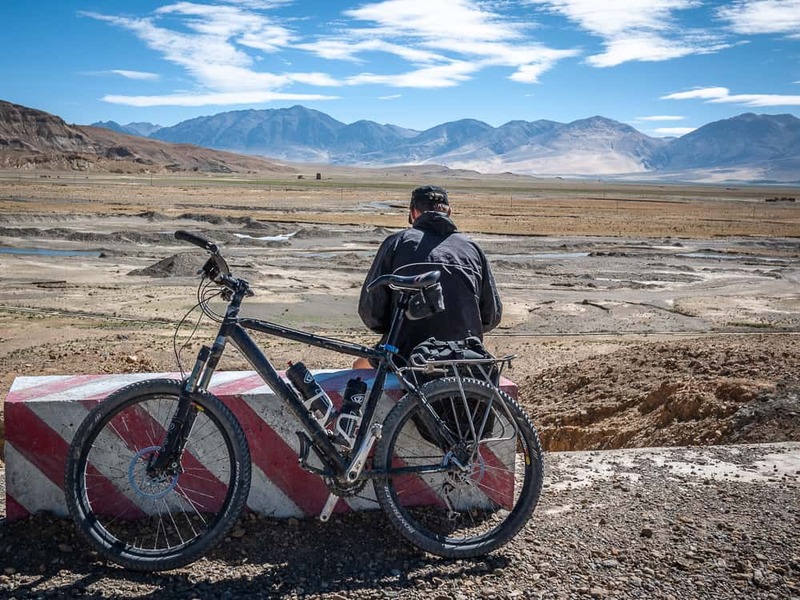 We will spend four nights in Lhasa to help acclimatise to altitude and by the time we leave you will hopefully be feeling quite capable of cycling. 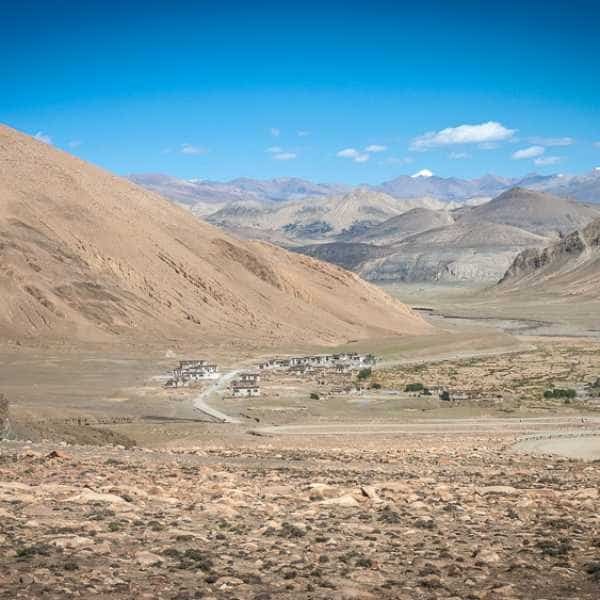 Once we reach the Tibetan Plateau the day after we leave Lhasa (Day 8) we will spend the next two weeks at between 4000 and 5500 metres. At this altitude, you will never be as strong or able as you are at sea level. Hopefully, you will have acclimatised to the altitude, and beside breathlessness more fatigue and less strength than usual when climbing you should be fine. However, there is always a chance of altitude sickness and I have in the past had to evacuate someone to Kathmandu due to altitude sickness. On another occasion, I had to evacuate someone from Everest Base Camp to Old Tingri at midnight; a 3-hour journey on rough roads descending 1000 metres. Evacuation will nearly always be by road and will be at the expense of the person evacuated. There is also an increased chance of throat and chest infection in Tibet due to the thin dry air. Once we leave our hotel in Lhasa behind we will have three nights camping. 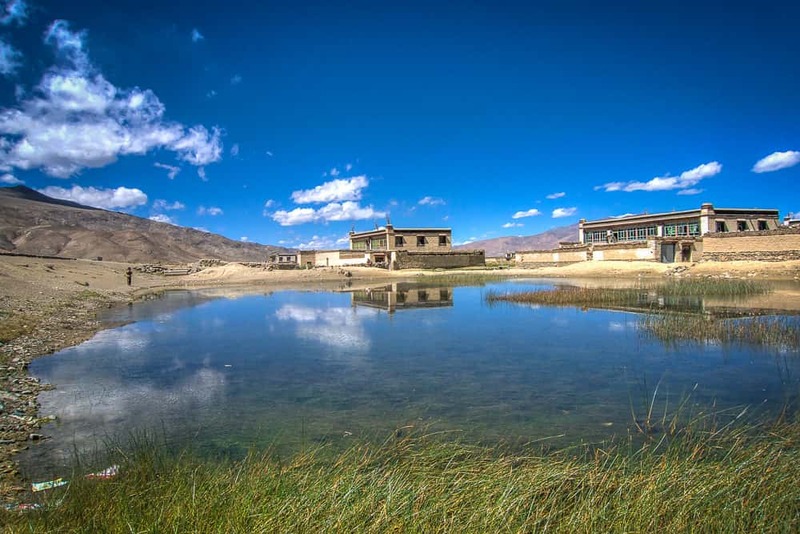 There will then be three nights in Hotels - one night in Gyantse and two nights in Shigatse which includes a rest-day. 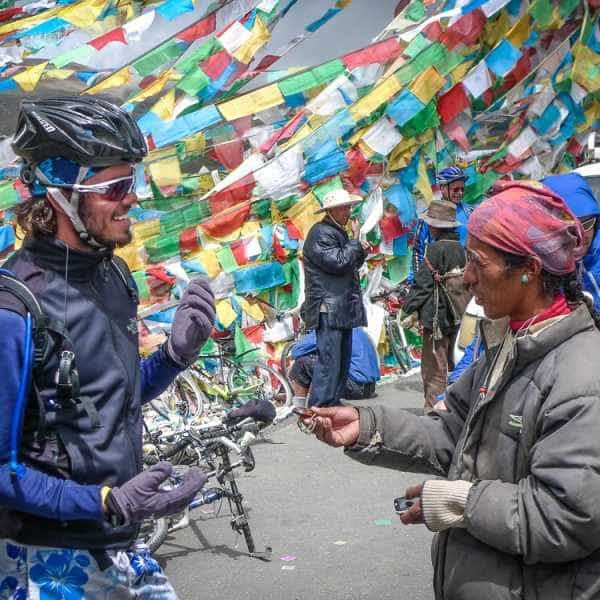 Following our rest-day in Shigatse, we will be camping for the remainder of the tour, although depending on circumstances we may use a lodge at the Nepalese border and en-route from there to Kathmandu. 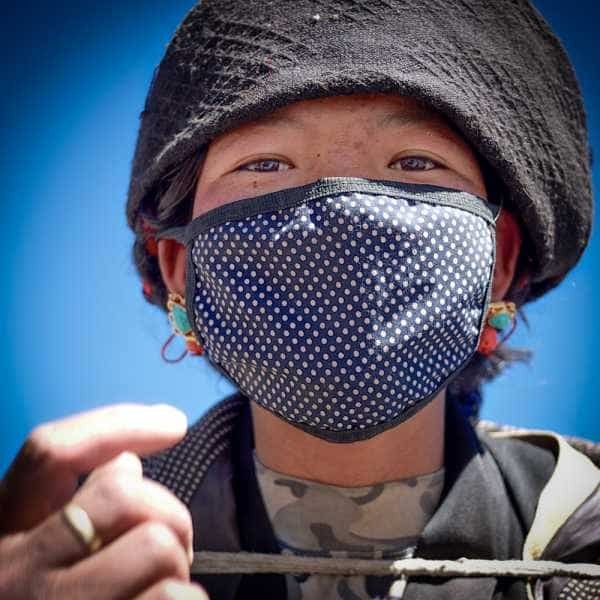 During our nine nights of camping in Tibet, we will be looked after by our Nepalese crew. We will sleep in tents and dine in a dining tent. Ablutions will be basic, there is no shower just a bowl of hot washing water morning and evening. We have a toilet tent as a lavatory. In short, this is a proper Himalayan adventure. The camping is expedition style and is far from the modern trend of glamping. This tour is for the adventurous, it is not for those looking for a pool and cold beer at the end of every day (although we usually camp next to a river and our crew chief often operates a small business selling local beer from a box in the back of the truck). It is essential that you are aware of and understand the conditions you will encounter on this tour. 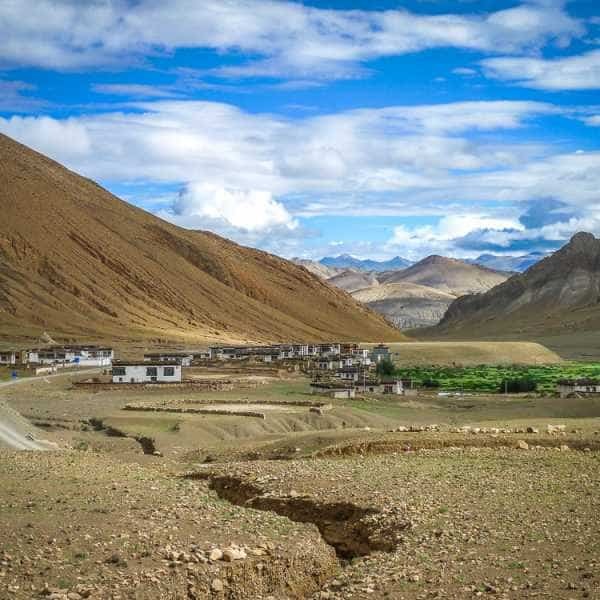 It is essential to realise that Tibet is not a tourist park, we are in the Himalayas and circumstances, both natural and man-made change rapidly meaning flexibility and realisation that distances, accommodation, and the itinerary, in general, are liable to change. The following is relevant to every non-Chinese visiting Tibet at any time for any reason and with any tour company. I feel that it is important that you understand the potential risk of Tibet being closed to any, and/or all nationalities at any time. In this event, you may lose your airfares. To enter Tibet everyone in the group will need to be on a group permit. This permit will be organised by our agent in Kathmandu just before we leave for Lhasa. In the past, the Chinese authorities have, at short notice, withdrawn permission for certain nationalities to enter Tibet. This is something that is totally beyond anyone’s control and every foreigner wishing to enter Tibet for whatever reason is susceptible to this. If this does happen we will discuss possibilities for alternative arrangements at the time, and this will depend on circumstances. 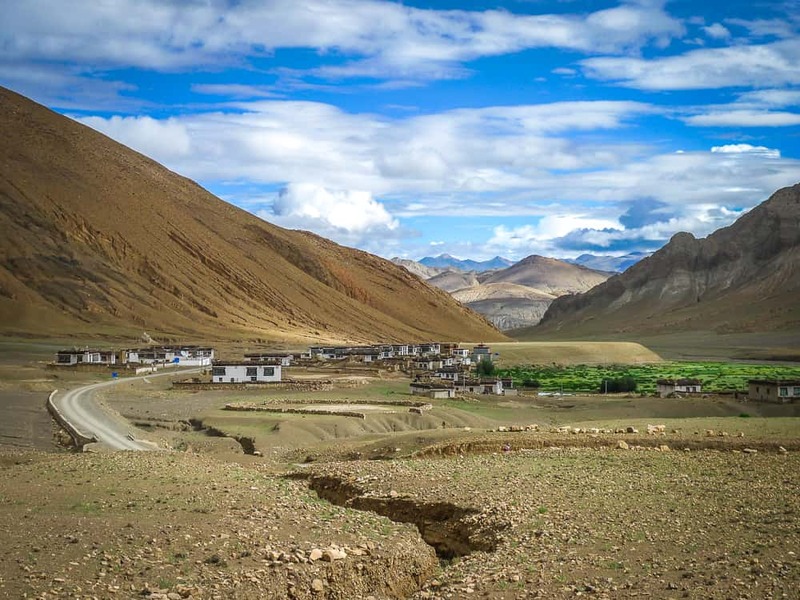 It may mean that we are able to offer an alternative tour in Nepal if that is appealing to you and is practical, or it may mean a refund of the cost of your tour. You will need to provide your own air-tickets, not only your international return flight to Kathmandu but also your flight from Kathmandu to Lhasa (approximately US$260), I will advise on the necessary flight at the time of booking. In the event of Tibet closing the refund of your airfare will be an issue between you, your airline, and/or your insurance company. I and PaintedRoads cannot in any way be held responsible for your airfare refund. I suggest making sure your airfare is fully refundable. It may also be worth considering a flight via a major hub such as Bangkok as, in the event of Tibet closing, this will leave options for alternative possibilities elsewhere in Asia. If Tibet does close I will refund as much of your deposit/full fare as possible. 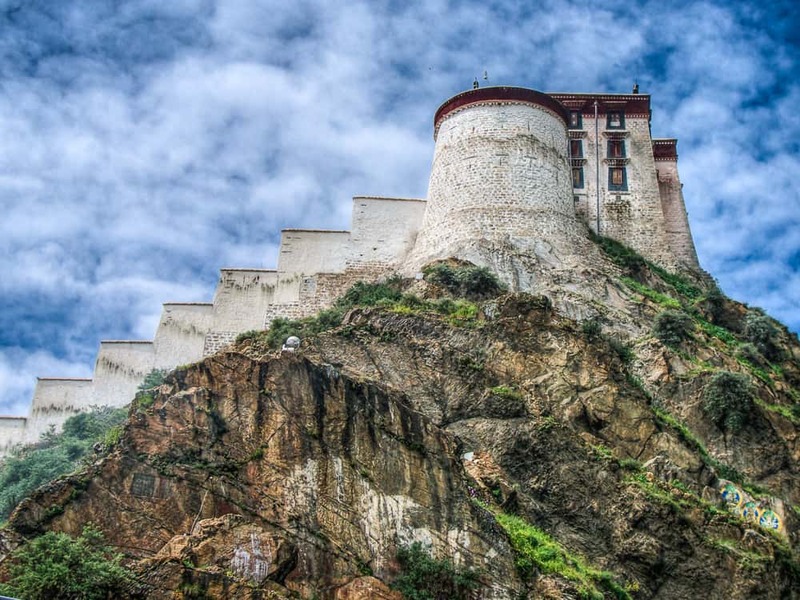 The only potential loss may be the deposits already paid for hotels in Lhasa and Shigatse, although even this loss is unlikely and I would expect and very much hope to make a 100% refund. In short, I am in a position to refund the price of your tour, but I am sorry to say that your airfares are at your own risk. 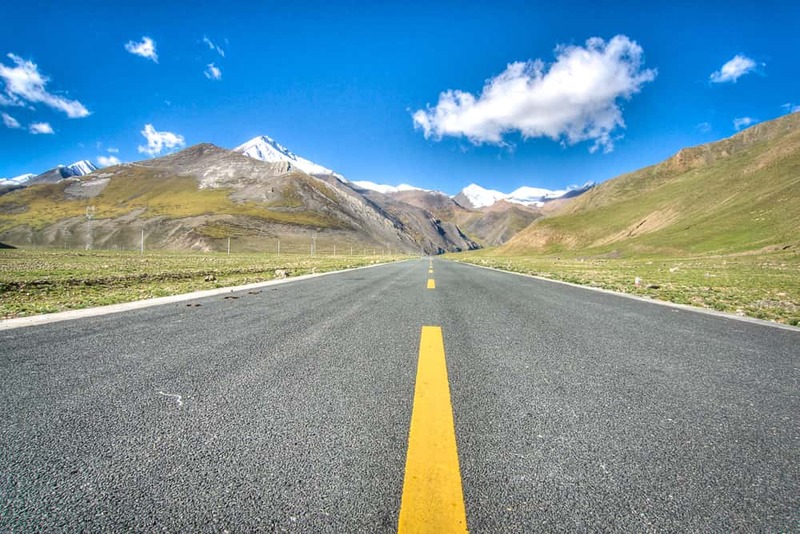 It is absolutely imperative that you are insured for this journey and that you make sure that your policy covers you for cycling at altitudes above 5000 metres. Hopefully, your insurance will cover you for cancellation. Please read the brochure carefully and take careful note of the information in the brochure, in this letter, and on the website before committing to this tour. If you have any doubt or queries please do not hesitate to contact me. Should you wish to discuss any aspect of this tour please let me know and we can arrange a meeting via Skype or FaceTime. Kathmandu - for most people the name alone conjures up romantic images of adventures from a golden era of expeditions, so what better place to begin our journey than one of The Subcontinent’s most exotic and exciting cities? You will be met at Kathmandu airport and transferred to our joining hotel where the group will come together in the evening for a briefing and our first meal together. 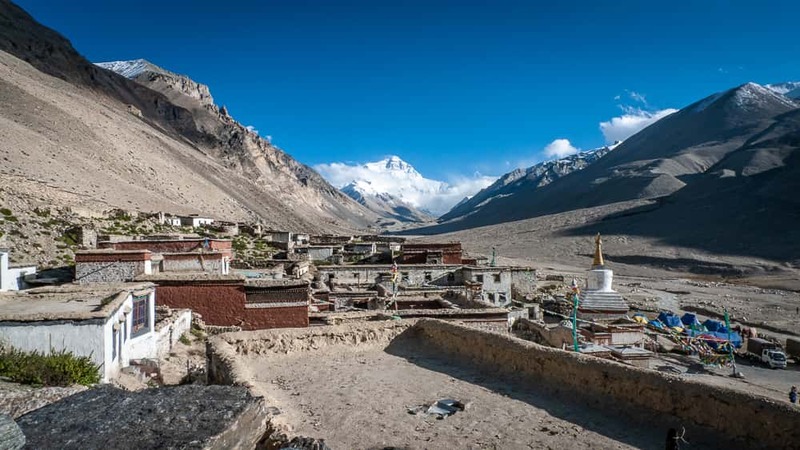 Whilst our team organise the necessary paperwork for Tibet we offer a city tour that includes such Kathmandu highlights as Dubar Square, Pashupatinath and Boudhanath. Alternatively, you may wish to branch out on your own and explore the nearby towns of Bhaktapur and Patan, or simply wander around Kathmandu enjoying the sights sounds and smells, meeting the locals and relaxing in one of the towns great cafés. Today is a contingency day to allow extra time to take care of documentation and last minute preparations before leaving Nepal. This is a good time to explore Katmandu further, purchase any items you may realise you have forgotten, and perhaps enjoy a final pizza before hitting the Tibetan Plateau. 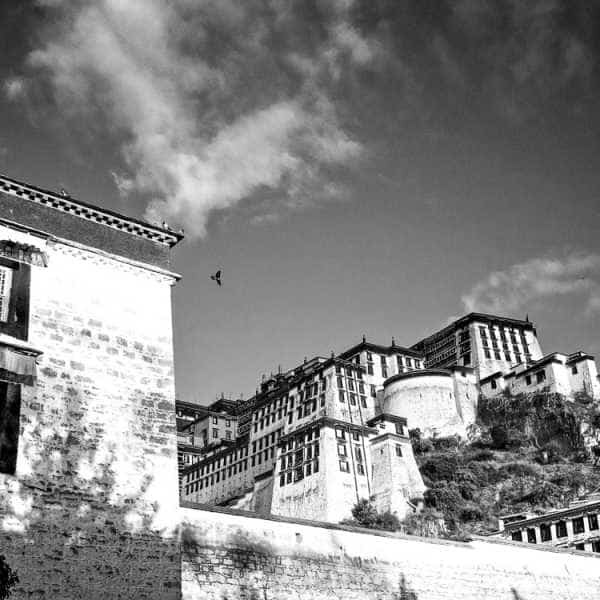 Today we will take the one hour flight across the Himalayas to the fabled city of Lhasa. Some will notice the thin air as soon as we walk from the aeroplane, others may not notice the depletion of oxygen until faced with their first flight of stairs. What is for sure is that by dinner time everyone will have realised why it is so important to spend some days in this fascinating city acclimatising to the altitude. Your behaviour during the early days of this tour will have a huge impact on the rest of the journey. 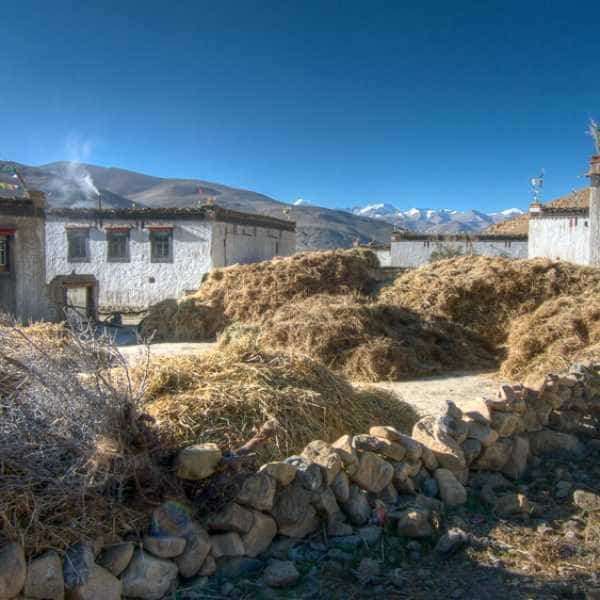 It is essential to take things easy at altitude, and so our first day in Lhasa is a day free to rest or to amble around the fascinating old Barkor area of the city. Pilgrims from all over the Tibetan Buddhist world converge here at the Jokhan Temple, and sitting in a shady spot watching these wonderful rituals unfold is alone enough to make for a memorable day. 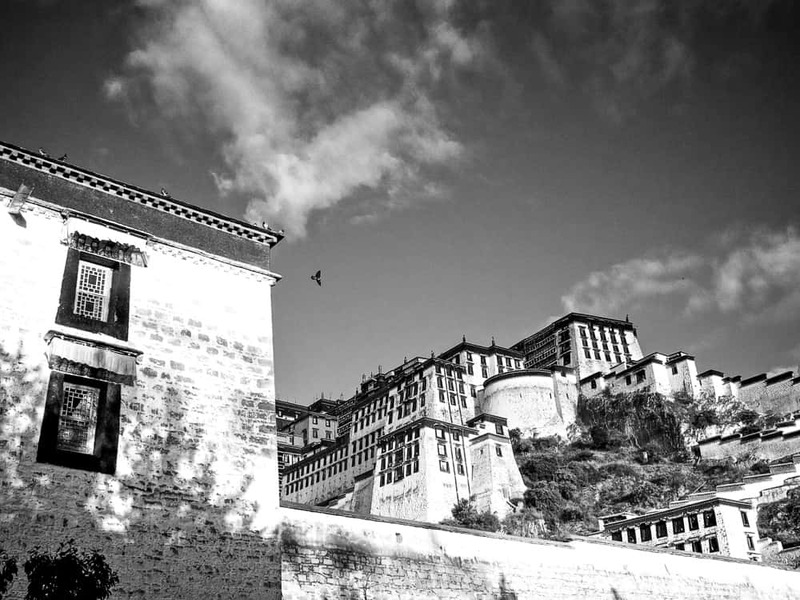 The Potala Palace is one of the worlds most spectacular structures, and for many, a journey to Lhasa would not be complete without a visit. 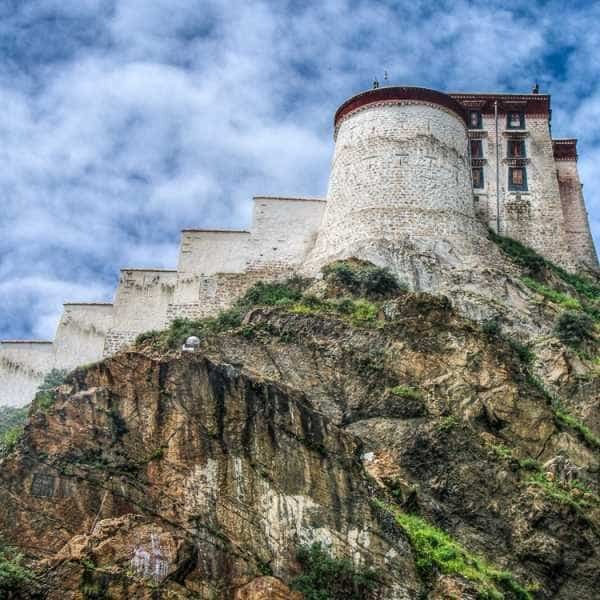 This morning we can travel together as a group to the Potala, and for those with energy to spare a visit to Sera University monastery can be arranged for the afternoon. Today will be our first experience of cycling at high altitude with a gentle shakedown ride out of town to the Kyichu River. Today our expedition begins in earnest as we saddle up and ride westward out of Lhasa towards the most imposing mountains on Earth. Our first day’s ride is gentle on us as the road leads us along a wide flat valley to the base of the Khamba Lass pass. On arrival at camp, our crew will be waiting to greet us with hot drinks and snacks in the mess tent. We are introduced to our first experience of high altitude climbing this morning as we make our way to the top of the Khamba La pass. Gently does it is the key to success as our bodies continue to acclimatise to the altitude. Arriving at the top of a 4800 metre pass for the first time is an interesting and unforgettable experience. 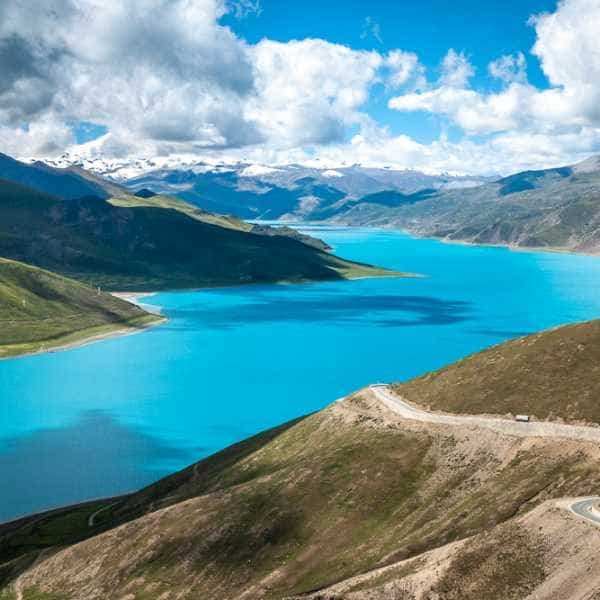 Equally unforgettable is the stunning turquoise water of Yandrok Tso lake as we freewheel down onto The Tibetan Plateau. This afternoon’s ride follows this beautiful body of fresh water to our wilderness campsite. 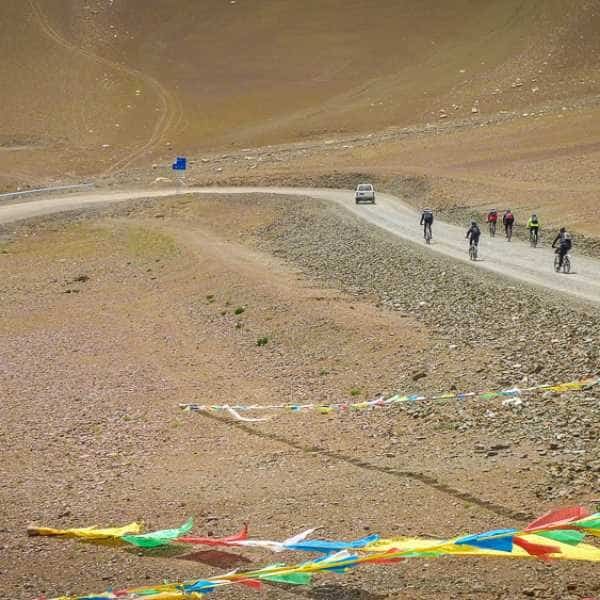 The Karo La pass is the first of our climbs that goes above 5000 metres. From our campsite to the summit is a climb of around 35 kilometres with an altitude gain of 500 metres. Once at the top we have splendid photo opportunities at a beautiful roadside glacier before rolling back down to the Plateau 500 metres below us, where our cheerful crew await us at camp with hot chocolate, coffee and snacks. Our next pass is the twin peaks of Simi La. 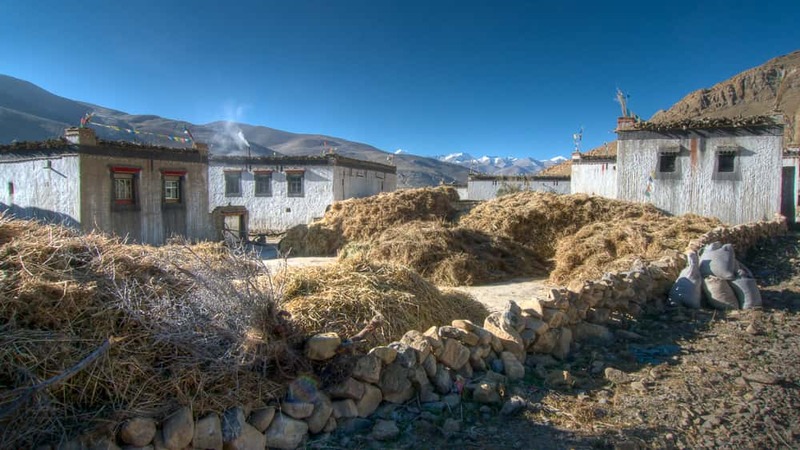 It’s a gentle 500 vertical metre climb to the first pass, and a quick down and up to the second pass before a gentle ride into the town of Gyantse where we can enjoy the comforts of a hotel for the night. Being only a half day’s ride the afternoon is free to explore the winding back streets of this Gyantse. It may also be possible to visit Kumbum monastery, a nine levelled three-dimensional mandala contained within a huge winding peripheral wall. 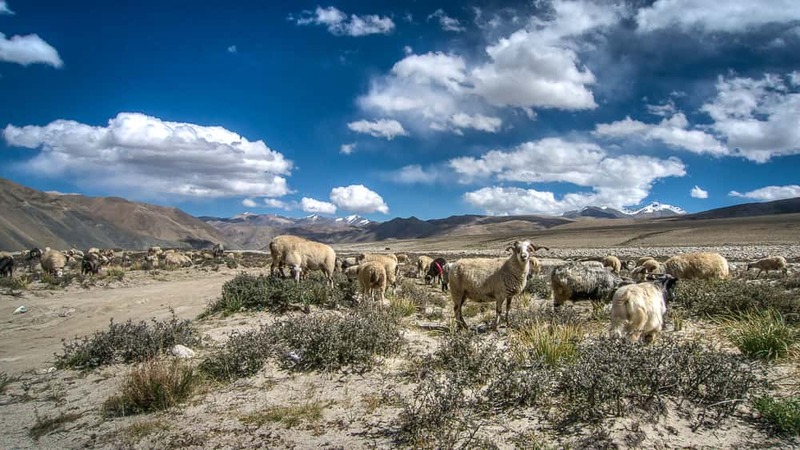 The 95 kilometres from Gyantse to Shigatse is a lovely flat pastoral ride through a wide fertile valley. Yaks and horses graze in green meadows whilst farmers tend the land and golden barley sways gently in the breeze. We are still acclimatising to the altitude, and with a comfy hotel, this is a fine opportunity to spend a day off the bikes. 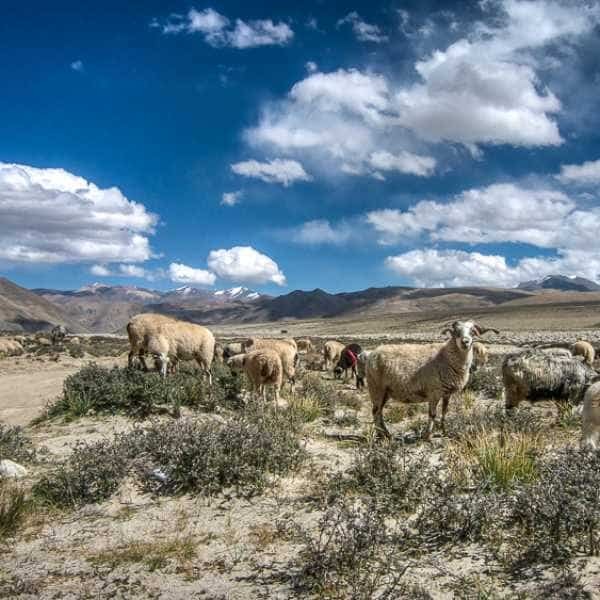 Shigatse is the largest town between Lhasa and Kathmandu, and a few hours gentle wandering around a larger modern Tibetan city will for many be an interesting way to spend the day. Others though may prefer to relax at our hotel and re-energise for the challenges ahead. Ahead of us as we ride out of Shigatse is a day of steady climbing as we make our way from the 3800 metres at which we have spent the past two nights to 4200 metres where we camp at the foot of the Tso La pass. 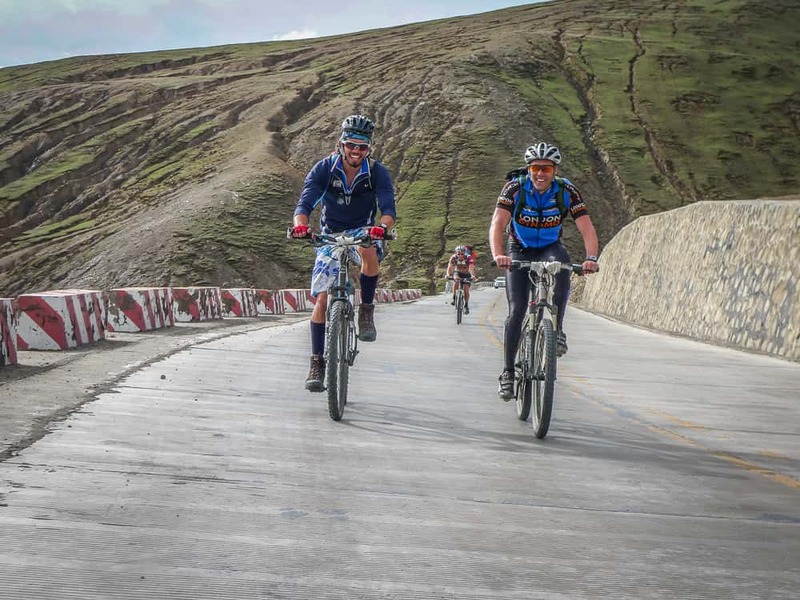 A four hundred metre climb over eight kilometres begins our day as we cross the 4550 meters Tso La. 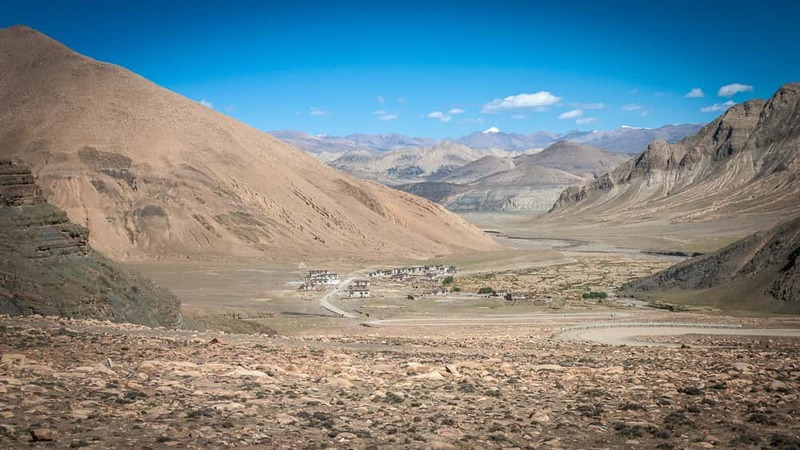 This is followed by a long gentle descent to the town of Lhatse some thirty kilometres away. The day will end with a brief climb to where our crew await us at camp. A colourful mass of prayer flags that flutter in a breeze that carries their mantras to the heavens awaits us at the top of the highest pass of our journey - the Gyatso La. The climb is a challenging 1200 metre ascent stretched out over twenty kilometres. The rewards are dramatic views of the snow-capped Himalayas and a glorious forty five kilometre descent to our campsite. 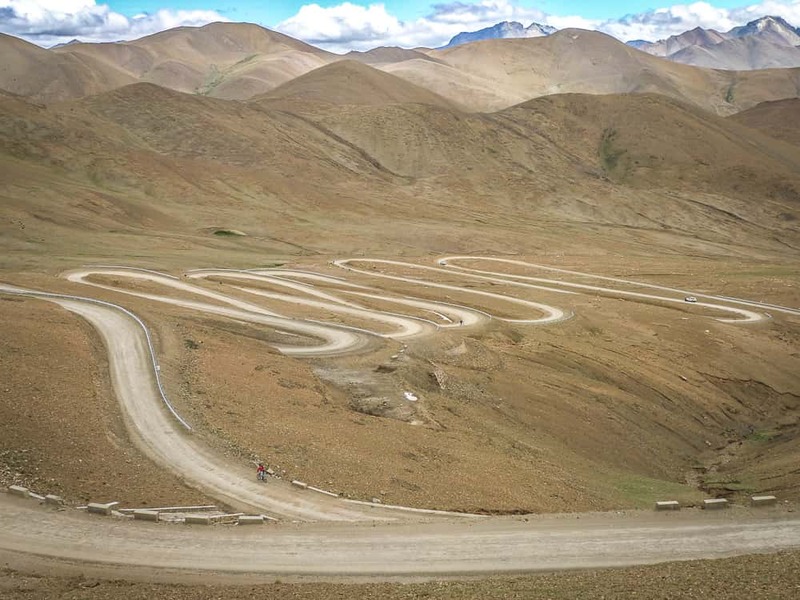 The road across the Pang La pass was until recently a corrugated gravel road, dusty and bone-jarring. 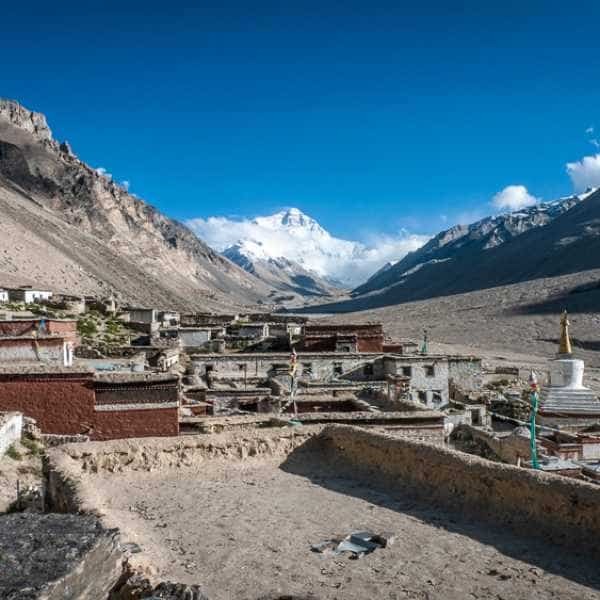 Now though, a pristine surface leads us to one of Earth's most formidable views formed by the snow-clad peaks of some of the world’s highest mountains, Cho Oyo, Pumori, Lhotse, Makalu, and Everest. Stretching out before us is the serpentine descent that winds endlessly down into the valley below, where the barren brown terrain comes alive in a beautiful green oasis. There is no doubting how high we are now cycling, every sense tells us. We are 40% down on oxygen, the air is thin and dry, our progress is more sedate than usual - we feel the altitude with each and every sense. 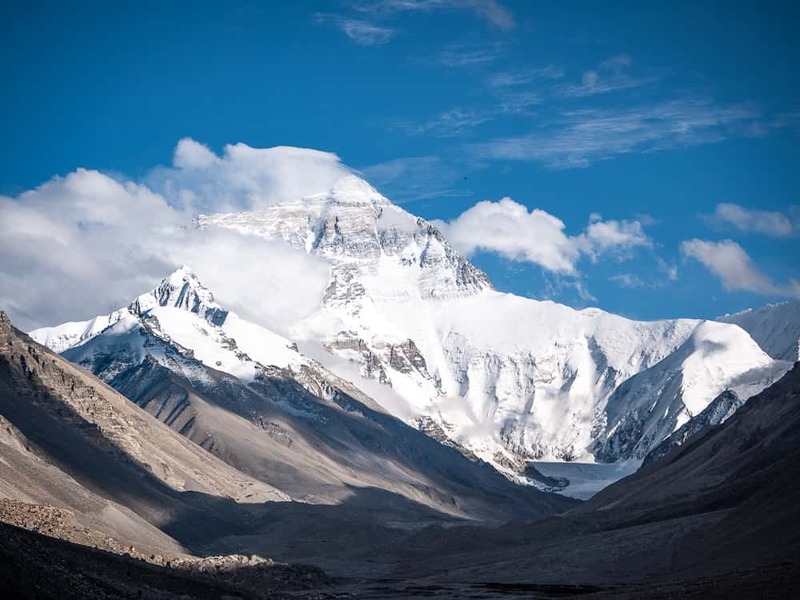 And it is this as much as anything that brings scale to rounding a corner and being confronted by the towering majesty of what the Nepalese call Earth Mother Goddess, the highest peak on Earth. 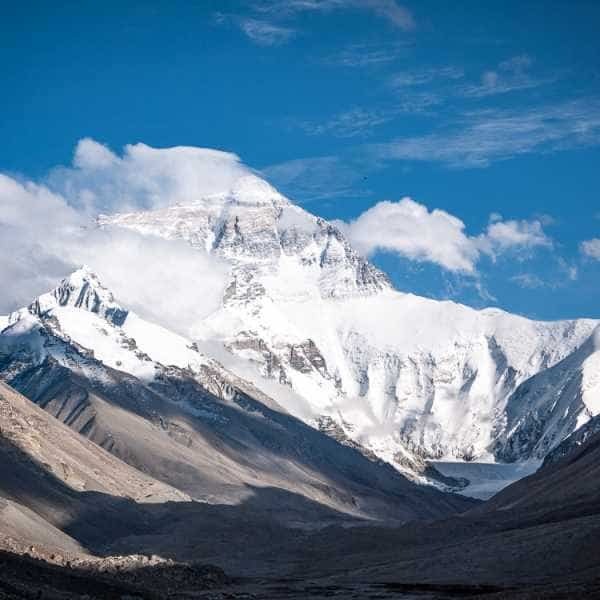 The grandeur of Everest is literally breathtaking as she rises white and grey, with an omnipresent mane of vapour trailing from her summit nearly four vertical kilometres above us. We reach our campsite in time for lunch. 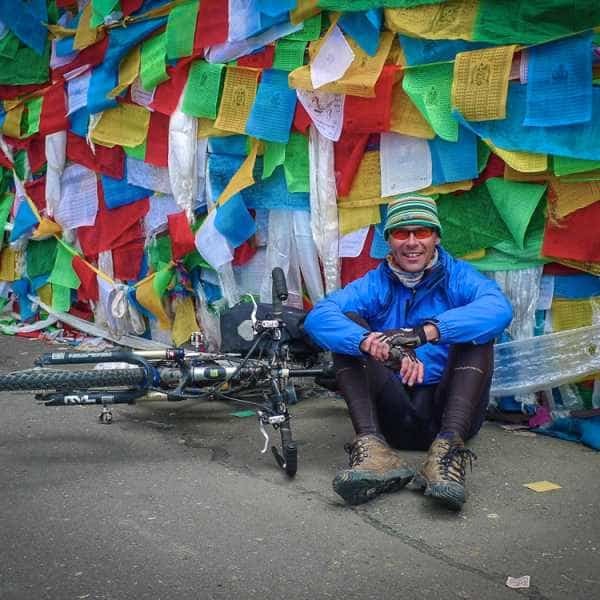 Once our hunger is sated we remount our machines and ride the final few kilometres to Everest Base Camp - a somewhat special achievement in cycling. (Today’s distance and campsite altitude may vary depending on circumstances). 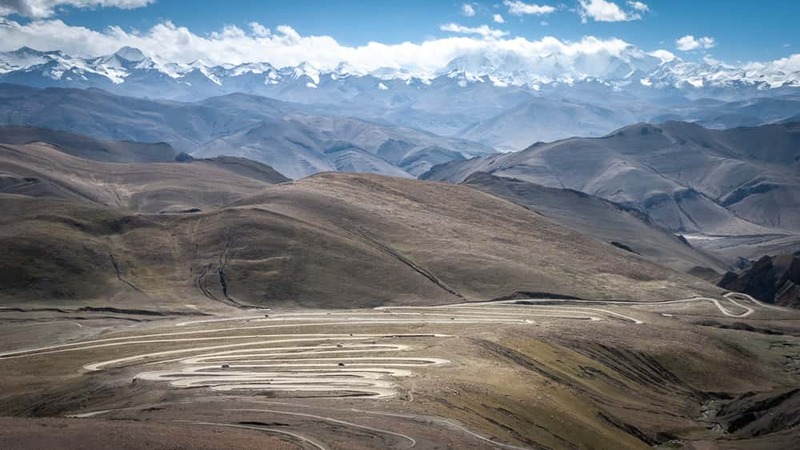 For some today is the most beautiful stretch of our tour as we leave the sealed road behind and follow the dirt trails and tracks that cross the wonderful 5100 meters high Lama La pass. From the top of the climb we have a long, rewarding, and at times challenging descent along a valley alive with textures and earthly hues leading us once more to the smooth sealed surface of the Friendship Highway and our campsite just outside of the town of Old Tingre. (Today's distance may vary depending on yesterday). 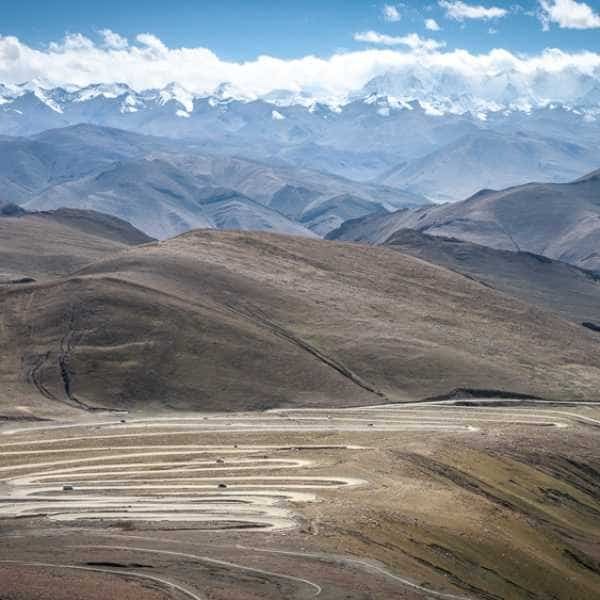 Now, back-back on the sealed surface of the Friendship Highway, we wheel our way west enjoying superb views of snow peaks, including the 8027 meters high Shishapangma, the highest mountain standing solely in Tibet. (Today's distance may be more depending on conditions). 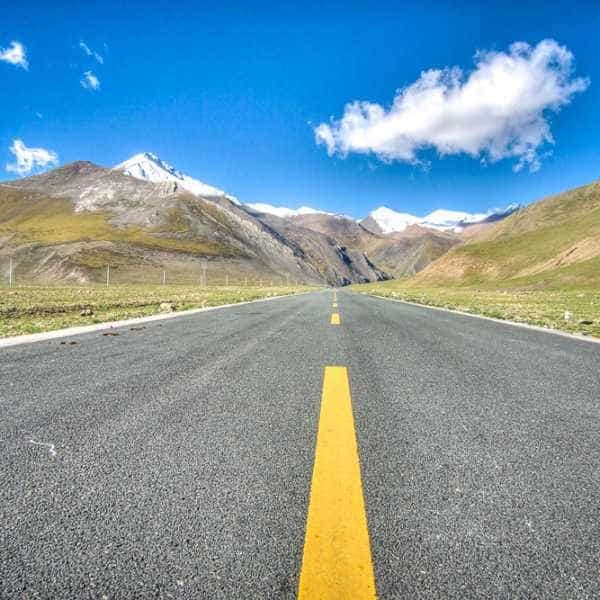 It is at this stage that the route to Kathmandu has altered since the earthquake of 2015 destroyed the Friendship Highway where it dropped down to Nepal at the Nylam border. 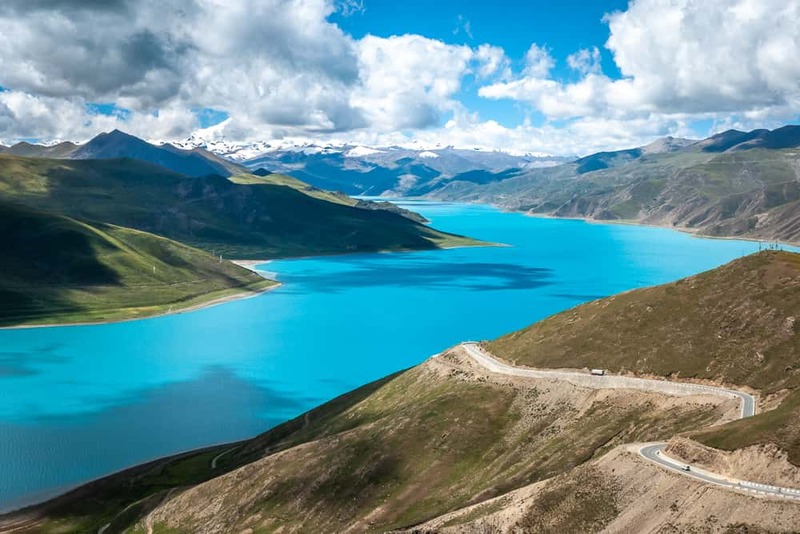 The new route from Lhasa into Nepal now continues further west and tonight we will camp by the shore of the beautiful Paiku Tso lake with the stunning backdrop of the snow-capped peaks of the Langtang range and Shishapangma. Today we head for Nepal losing more than 2000 metres in altitude as we follow the Girong Zangbo river to the small Nepalese border town of Rasuwa Gandhi. For the most part of our first day in Nepal, we follow the Trishuli River as we skirt the western edge of the Langtang National Park, one of Nepal’s excellent trekking regions. Now at comparatively low altitude, everything feels different - the smells, the sound of bird song, the oxygen-rich air. 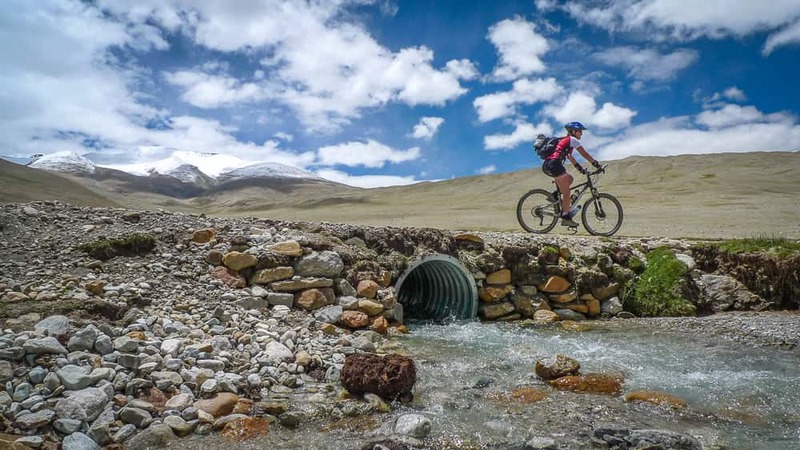 There is no doubting that we have moved to an altogether different region from that of the past few weeks as Nepal throws up some cycling challenges of its own by way of some cheeky little climbs along a generally undulating route. Even now, seemingly a stone’s throw from our destination the challenges are not over as a final gargantuan climb leads us to the downhill into the hectic hustle of the Kathmandu Valley. 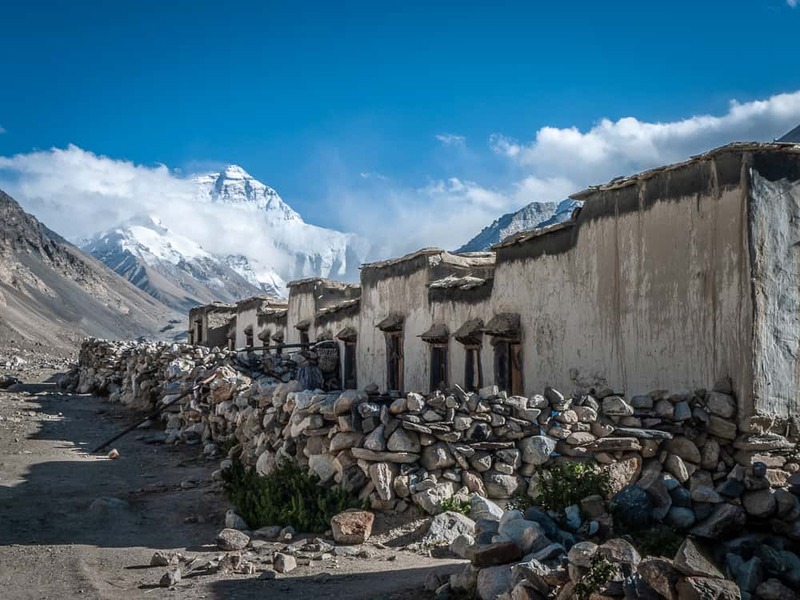 The fresh air of Tibet is now long behind us as we tackle the dust and fumes out our final kilometres to our tranquil hotel courtyard and lashings of celebratory Everest beers. The tour officially ends after breakfast today with transport to Kathmandu airport. We recommend using your own bicycle for such an epic journey. Please contact us for rental bike info.